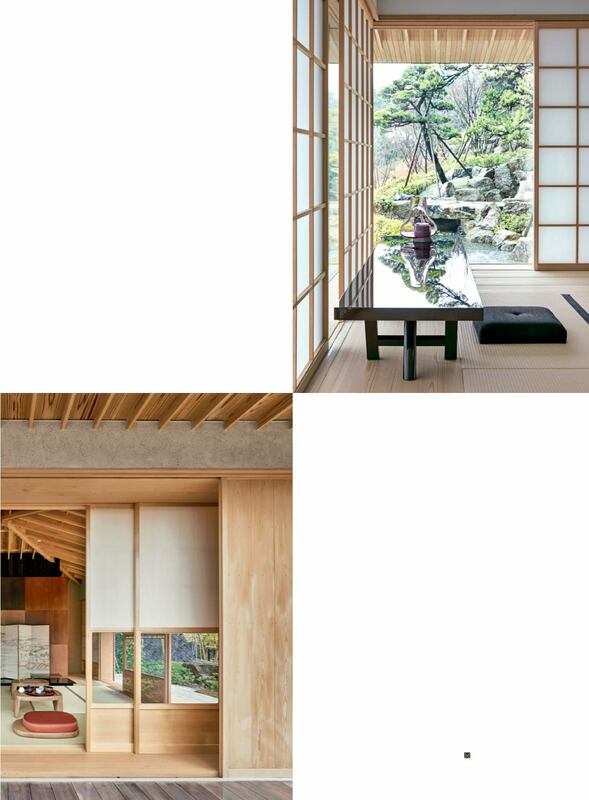 A stunning collaboration between the Japanese architect Kengo Kuma and the French interior design studio Liaigre. 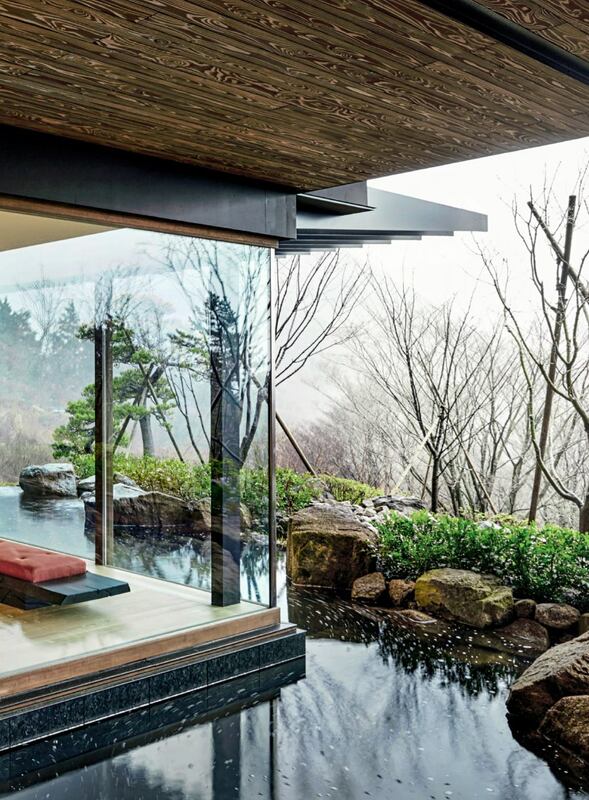 HIDDEN AWAY in a wooded area of Kanagawa Prefecture in central Japan, this private vacation residence is imbued with an alluring aquatic poetry. Both inside and out: it is built on a lake at the top of a natural waterfall. Visitors reach this paradisiacal complex of five pavilions via a network of small bridges and uneven steps. How did such an inviting, elegant living space come into being in such a picturesque setting? The miracle was made possible by a unique collaboration between the Japanese star architect Kengo Kuma and Liaigre, one of France’s foremost interior design studios. Possessed of a nearly otherworldly beauty, the residence is also an ideal observation post for contemplating the changing seasons. In the fall, the bright crimson of the cedar leaves merges with the palette of wood shades, both outdoors and in. In the winter, the frost-heavy tree branches sway into view and vanish in the morning mist, like a shadow show projected on the glass walls. In keeping with tradition, shoes are left at the door. The soft floor- boards act like a gentle massage on the bare feet. The quality of the light, carefully thought-out proportions, material effects, use of reflection and transparency… Guests are transported into another world, suspended between reality and illusion. Every piece of fur- niture is made to measure and every pavilion has its own onsen, the hot spring bath that is the centerpiece of Japanese well-being. Blending its pared-down lines and the intensity of its distinctly French style with Japanese esthetics and rituals, Liaigre has created a hybrid, bicultural world. Some rooms have cushions placed directly on the tatami-lined floor, while others seem conceived to awaken creativity—like the guest room with its view of the lake, equipped with a wood and lacquer Nagoya desk, a model created especially for the space and now part of the Liaigre collection. Cer- tain furniture pieces were designed by Christian Liaigre himself in the early days of the project, and artistic director Frauke Meyer completed the work, delivering a stylistic gem that strikes a perfect balance between technique and passion.